The research and education at Chalmers University of Technology are focused on technology, science and architecture. Our motivation comes from a desire to discover and to learn new things. Behind everything we do there is a wish to participate and contribute to a sustainable development both nationally and globally. 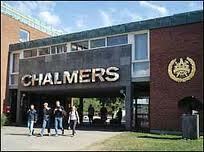 Chalmers has a creative and stimulating environment that makes use of everyone`s talents, experiences and resources. The implementation of education and research takes place at Chalmers 17 departments. At the Department of Product and Production Development the main competences are found in the areas of human centred design, product development and production systems and in the interaction between these disciplines. The majority of the research is conducted in collaboration with industry. The department has more than 75 employees, organized into three divisions: Design & Human Factors; Product Development; and Production Systems. The research at Division Design & Human Factors concerns the relationship between people and technology in a broad sense, with the aim to develop further knowledge and contribute to a more human-centered development of technical products and systems. Research themes include Methods and Tools for identifying customer/user requirements and evaluating design solutions from a use perspective, designing efficient, effective and safe Human-Machine System, and Product Experiences, including aesthetic, affective and semantic aspects. At the Division of Product Development research is conducted in three different research groups. The research group Systems Engineering & PLM studies the development process and its actors to understand the problems and needs of product development organizations. The research group Robust Design and Variation Simulation focuses its research on methods and information technology support for verification of product geometry in the early design phases. The research group Machine Elements focus on modeling, simulation, analysis and optimization of machines, machine systems and components to ensure a good function, the right performance, durability and reliability in order to develop well-functioning and robust products. As a postdoc in the Division of Production Systems you are part of a team of researchers that focuses on new knowledge for design, management and operation of complex production systems. Our research is concentrated on production system components and how they interact. The goals are to achieve high productivity, flexibility and safety in the production system. We study e.g. human operators; different kinds of automation; robots; information technology. We also develop simulations of production flows, increased information flow, and optimized interaction between humans and technology. We cooperate closely with automotive, process, aerospace, food, and other industries. We also, collaborate nationally and internationally with other universities and institutes. Human factors in manufacturing, including ICT tools. The Postdoc position is an appointment that offers an opportunity to qualify for further research positions within academia or industry. The appointment is for 1+1 years of full-time employment, with a monthly salary paid. Most of your working time is devoted to your own research. Included in your work is also to take part in supervision of Ph.D. students and M.Sc thesis students. Teaching of undergraduate students may also be included to a small extent. You will attend international conferences and meetings, where you will present your own work and establish useful contacts with other researchers. The position can commence immediately. The application shall be sent electronically. Please use the button at the foot of the page to reach the application form. The documents according to items 1-4 above shall be attached as two pdf-files. One should contain items 1-3 in the listing of material to be included in the application The other should contain item 4 in the listing of material, and any other appendices. If any material is not available electronically or cannot be transferred to pdf format, the material can be sent as a hard copy to Registrar. The applicants name and the reference number (2011/54) must be written on the first page of the application. Demikian kami sampaikan tentang Postdoc positions at Product- and Production Development at Chalmers University of Technology semoga informasi tentang Postdoc positions at Product- and Production Development at Chalmers University of Technology ini bermanfaat.